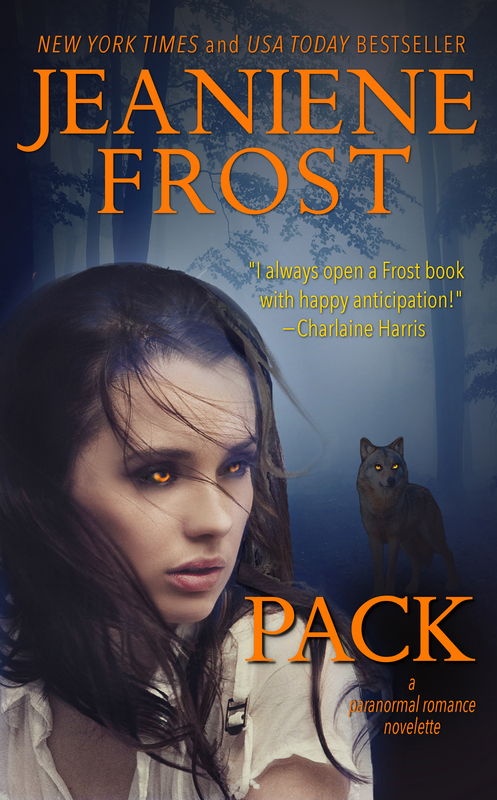 Pack, the werewolf romance novelette that I originally wrote back in 2008 for the Mammoth Book of Paranormal Romance anthology, is now available as a single ebook for only $1.99. Marlee Peters is tired of putting her dreams on hold, so when her friends can’t continue on a long- anticipated hike of Yellowstone National Park, she goes on without them. But Marlee isn’t alone in the woods; she’s being hunted by a pack of frighteningly intelligent wolves. When a fight for survival takes an impossible turn, Marlee realizes that the enigmatic stranger who saves her might either be her dream come true…or her waking nightmare. Order at: Amazon, B&N, iBooks , Kobo. As I said, back in early 2008, I wrote a werewolf romance story called Pack for the Mammoth Book Of Paranormal Romance anthology. Later, Pack was re-published with authors Ilona Andrews and Meljean Brook in an e-book-only anthology called Under Her Skin. In the years since, Meljean, Ilona, and I have dipped more into self-publishing, so we decided to break up the anthology and self-publish our stories as individual novelettes instead. While I was rereading Pack in preparation of this, I made some scene additions to add depth to the characters’ thoughts, motivations, and feelings. You see, the old anthology that I’d written this for had a word-count limit that I’d already far exceeded, so I’d left those things out in the previously-published versions. Then, I posted it for free on my website blog for a limited time as a gift to my readers. Since then – proving that I cannot stop tinkering with a story unless deadlines force me to – I also added more content in the form of additional scene tweaks as well as an entire new chapter featuring a love scene between Marlee and Daniel. I’m so pleased that re-publishing this story on its own allowed me to add this additional material, because the end result is over twenty percent more content in this version versus the previously-published editions, and – I believe – a better story overall. I hope you enjoy Pack, whether this is your first time reading it, or whether you read it before in an earlier version. Audio readers: I am trying to get this out in audio, too. More to come on that. Want to get reminded about new releases, special sales and personal appearances in your city? Sign up for Jeaniene’s newsletter! This is my second time reading Pack in Under Her Skin. I find myself looking forward to buying the new book so I can read more. I would love to read about how Marlee did through her change and first year or two as a werewolf. I definitely feel Pack would be a great first book for a series and I haven’t even read the republished version yet. I loved the novelette pack. Are you hopefully going to continue it? Thank you! One day, I’d like to expand on the world and write another werewolf novel, but at this time, I have no plans to continue Marlee and Daniel’s story. I loved writing about them, but I can’t turn everything I write into a series ;). I have read everything you’ve written…thank you for the Pack…teaser….we want more Jeaniene! Looking forward to meeting up with Vlad again…I miss Kat and Bones too. Ivy’s story was dark, but I’m going to re-read it before the next book arrives….can’t wait! Is this a appropriate book? I haven’t read it yet but my parents are skeptical about it. I am only 13 but I love all books. Please reply soon. I do NOT recommend this story for anyone under 18. It contains very adult material. I do recommend Wicked Lovely by Melissa Marr, Raised By Wolves by Jennifer Lynn Barnes, and Darkest Powers by Kelley Armstrong. Please continue Daniel and Marlee’s story! What a cliffhanger! AGH! Are you going to do a series with Marilee and Daniel???? Probably not. Sometimes, I have to write a one-and-done :). Great story, I really enjoyed it!